Touch Screen Mobiles have revolutionalized usage of mobiles for cool applications and games. 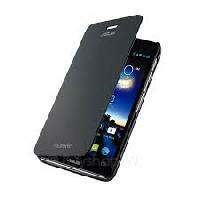 Touch screen devices are very common interface in the new generation mobile phones , PDAs, MP3 players,etc . The revolutionary introduction of Apple iphone increased the popularity of touch screen world wide. a Different technologies are being used for construction of touch screen displays, such as Resistive, Capacitive,Strain guage, Surface Capacitance, Projected Capacitance, Infra red, Optical imaging, Acoustic pulse recongnization etc, depending upon the application and device. Irrespective of the technology, touch screens are coming under the category of sophisticated devices, whose physical and electrical characteristics may vary temporarily / permanently according to the environmental conditions. Here some points to be remembered while handling the devices with touch screen panels. The touch screen panels are very much sensitive to the substances like dust particles, Oil and Grease. Try to avoid using touch screens in dusty environment. Always use touch screen with clean fingers. 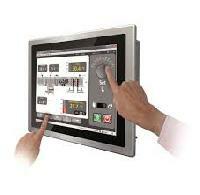 The touch screen panels are very much sensitive to the substances like dust particles, Oil and Grease. Try to avoid using touch screens in dusty environment. Always use touch screen with clean fingers. Dont apply excessive pressure on the screen, which can permanently damage the display. Dont use touch screen devices on direct sunlight. Excessive heat can damage the panel. Never clean the touch screen with strong chemicals and detergents. Standard glass cleaners can be used for cleaning the touch screen but dont use the solutions which contains Ammonia. Dont spray the solution directly to the screen. Always apply the solution with a soft cloth. Clean the display only after switching off the device. If cleaning mode is available in the device do cleaning only after selecting that option. Never clean the touch screen with strong chemicals and detergents. Standard glass cleaners can be used for cleaning the touch screen but dont use the solutions which contains Ammonia. Dont spray the solution directly to the screen. Always apply the solution with a soft cloth. You need toprotect the touch screenfromwater, dustand extreme pressure. The Finger and included S Pen can be used to easily select items or perform functions. So tap your finger to perform various action and controls. Actions using the S Pen with the button pressed provide additional conveniences, such as screen capture and many more. Pull out the S Pen from the slot to use it. Most people usescreen protectorto protect the LCD screen, when you are selecting one make sure it is slightly bigger than the touch response area, the best way would be to buy the exact size of your LCD Screen. Today the phones that are available are very responsive and using ascreen guardmay require you to press harder in some cases the touch screen may act weirdly. 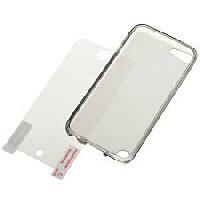 If the screen guard is causing problem with touch responses, remove it. Mostmodern handsetsdo not really required screen guard as they come withtoughened glasswhich isscratch proof. Stylus today are outdated and almost allphones come without a Stylus. When you areusing touch screen to input datamake sure you are not exerting too much pressure as it might damage part of the screen. I have seen many people giving theirphone to kidswho play with it and even put it in their mouth. If you have a touch screen phone simply avoid this. As already mentioned a number of times before, the touch screen is very delicate and it is equally important how you carry them. If you have a largertouch screen phoneyou should avoid placing it in your front or back pant / jeans pocket, trust me I have been doing that and part of my phonestouch screen has become non responsive. You can use aphone pouchthat can be attached to your belt or simply place it in the front pocket. When buying a pouch for your handset, make sure the phone slides in comfortably and there is enough room. Also make sure that there are no objects pressing theLCD touch areacontinuously. Dont use touch screen devices on direct sunlight. Excessive heat can damage the panel. Leaving the touch screen idle for extended periods may result in afterimages (screen burn in) or ghosting. Turn off the touch screen when you do not use the device. If you are using a costly touch screen device then it is better to go for screen protectors which protect screen from sun, dirt and external damages like pressure and scratches. Cell phones communicate using signals in the microwave spectrum. The invisible stream of RF (radio frequency) signals penetrate our bodies when the device is held close, and as well as the long term potential for cancer, there is also the potential to impact cognitive memory functions and to cause disorientation and dizziness. This article explains how to take precautions when using your cell phone.